Stay tuned for upcoming events for LUMS Music Fest in near future. 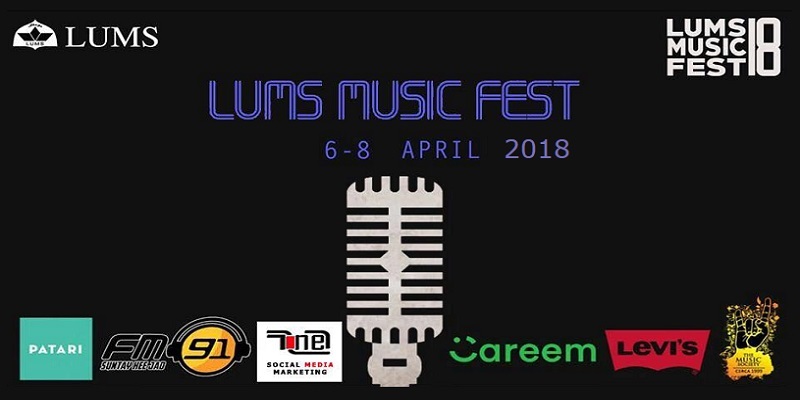 LUMS Music Fest 2018 will take place from 6th to 8th April 2018 at Lahore University of Management Sciences (LUMS) in Lahore. It is organized by The Music Society of LUMS in collaboration with Patari. LUMS Music Festival is a 3-day national level event which features concerts, singing competitions, battle of the bands and other segments. Interested persons can participate in the extravaganza LUMS Music Festival 2018. LUMS Music Fest is the biggest celebration of music and the love of music across Pakistan. LUMS Music Festival is the highlight of the year for most of the young aspiring musicians of Pakistan. International delegates also enthusiastically participate in the event. The festival serves as a platform for potential musicians to network, interact, inspire each other. It provides them opportunity to enjoy their love of music through a series of social events and music-centric mini competitions. LUMS Music Fest is back again for the fifth time to inspire music lovers across the country. Best Viewed at 1024 x 768 pixels and above. This Page loaded in 0.09195 seconds on Tue, Apr 23, 2019 (21:12).